Between 6pm and 7pm on Wednesday 12 December, a garden shed was set alight on Warren Avenue, Shirley. Overnight on Thursday 13 December into the early hours of this morning (Friday 14 December), a caravan was set alight along Teme Crescent, Millbrook. This also caused fire damage to a house and a car. Shortly before 1.30am this morning (14 December) a fire was started in a bin near flats in Jessamine Road, Shirley. Damage was caused to two properties and a drain pipe. We are treating these incidents as linked and have made two arrests. 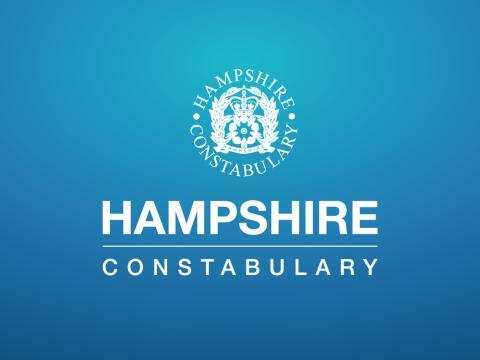 A 14-year-old boy and a 13-year-old boy, both from Southampton, have been arrested on suspicion of arson with intent/reckless as to whether life was endangered. Anyone with information about these incidents is asked to call police on 101, quoting 44180464638. Detective Inspector Colin White said: “We understand that people across the city will be concerned as we have seen a number of separate arson series in recent weeks. Damian Watts, from Hampshire Fire and Rescue Service’s Arson Task Force, said: “Arson has a huge effect on the local community, it destroys property but more importantly it can also put people’s lives at risk such as the residents and firefighters who come out to tackle the fire. “There is no such thing as playing with fire and only setting a small bin alight, fire is unpredictable and can quickly grow much larger than you thought possible and affect a much wider area. “The community can help itself stay safe by being vigilant and ensuring the opportunity for arson is reduced. As far as possible make sure your vehicles are secure, outbuildings locked and illuminated and rubbish bins are not left on the street until necessary.